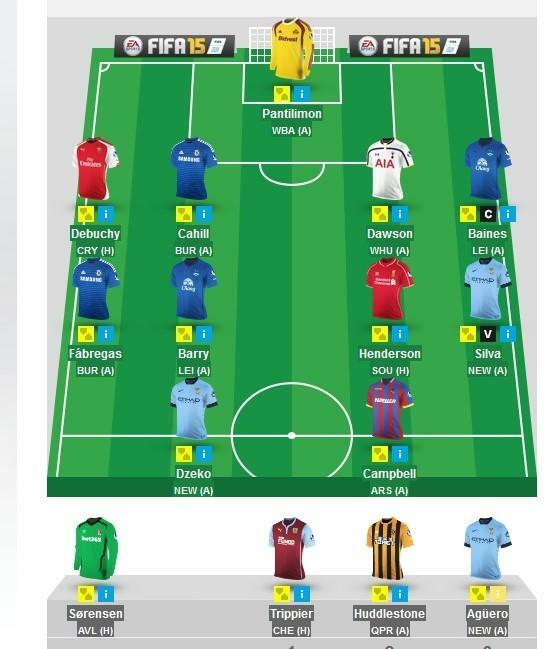 My teams took a bit of a hit so took out Baines and Bony and brought in Lukaku and Gibbs. Anyone interested in doing this again??? Any fancy doing that auction format one this year if I set up a league? It's way better. is this league up and running, what's the code? the auction one, that's pay to play isn't it? Just a bit, the standard one's £15 each and the premium one's £35 per person or something! Haven't got a clue how they justify that, I didn't realise before. I've done the usual one in another league and will gladly join a fori' one. I haven't bothered this time round. Looks to me like we've got a full league there. Full of shite like Milnerinho, but beggars can't be choosers I guess. I have just joined. Seems I am the only person in the league. I stand corrected, I have found you all. Might get going on this again, neglected it last and previous i think, just try and remember how i did it. Ok so i just updated the info on the very first post with the league code to join. bring back the predictions league,,you could do it gal, you're the man for the job mate..